Thread Packet TP32 "Jordan's Favorites"
Enter E-mail address and first name, last name into box and press Subscribe. Newsletters will not be sent out more than once a week. There will be sales and information for subscribers only. 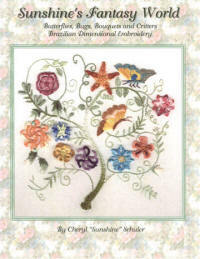 JDR Brazilian Elegance Specializing in Brazilian Dimensional Embroidery but providing stitchers with much more! 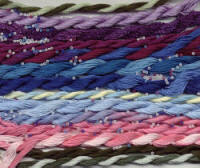 All JDR patterns & designs are copyrighted for JDR Brazilian Elegance. The designs presented for any other designer on our web site are also copyrighted by the individual designer. No part of this material/website may be reproduced in any form, in whole or in part, by any means-mechanical, electronic, graphic, downloading, photocopying, photographing, tracing or means yet to be discovered without written permission.